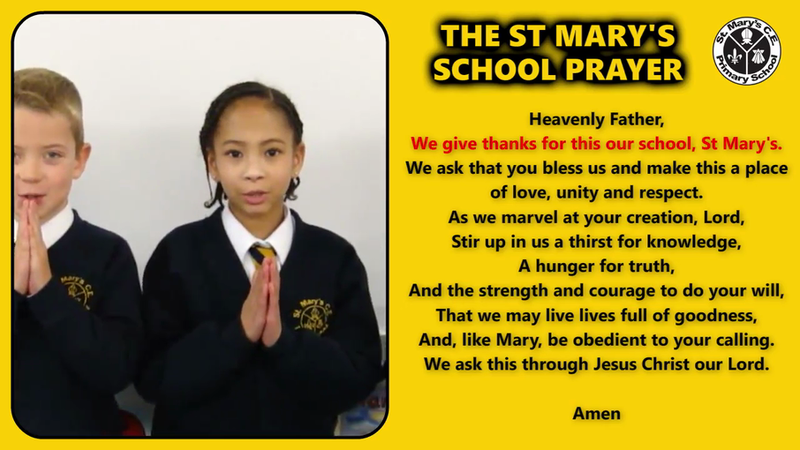 We give thanks for this our school, St Mary's. We ask that you bless us and make this a place of love, unity and respect. that we may live lives full of goodness and, like Mary, be obedient to your calling.